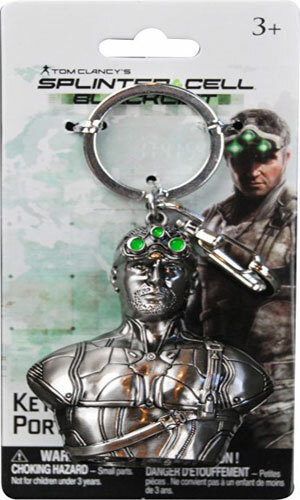 Sam Fisher is an agent for the NSA. For years the National Security Agency excelled in passive intelligence gathering by monitoring communications around the world. This was considered their First Echelon. Later, it was felt they needed to take a more active role and their Second Echelon was formed. Finally, they decided a secret arm, operating in totaly secret, was needed and the Third Echelon was born. 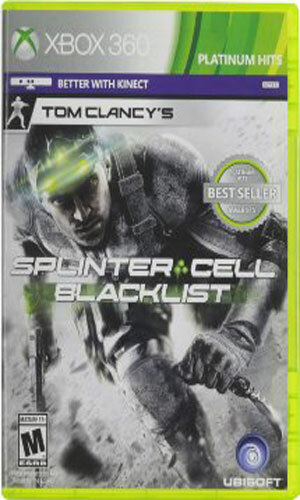 As an agent in this department, the Splinter Cell, or solo, operatives have been given "license to spy, steal, destroy, and assassinate to protect America." The first of these agents and still the best is Sam Fisher. There are others; though their exact number is not mentioned, it probably lies in the 10-20 range. Fisher had worked for many years an a CIA operative doing exciting work around the world. It cost him his marriage and made him estranged from his daughter until his ex-wife took ill and Fisher took a desk job to be with her and help raise his Sarah. After the wife passed away and Sarah left for college, Fisher, now well into his forties, was bored with his job and hating the bureaucracy. When the chance came to join the Third Echelon, he jumped at it. In addition to expertise with knives, rifles, and handguns, Fisher is also extremely dangerous with his hands. In addition to the more common forms of martial arts, judo, karate, and kung fu, Fisher is very well versed in Krav Maga, a hand-to-hand combat technique developed by the Israelis which combines wrestling, grappling, and striking moves. It derives much of its origins from brutal street fighting and is meant to put the opponent down fast and hard. Fisher is very good with it. 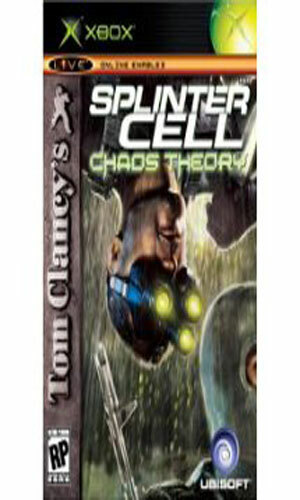 Tom Clancy's Splinter Cell is a series of books taken from a video game by Ubisoft. 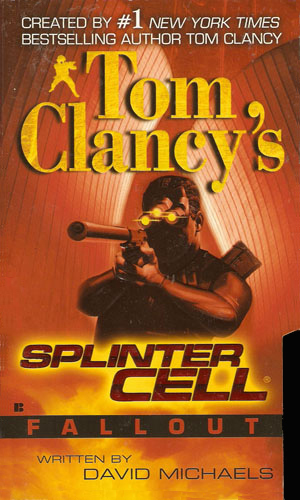 Ubisoft got the relationship with best selling author Clancy through the North Carolina game company, Red Storm, a company created by Tom Clancy (and others) to make games based on his licenses and stories. Numerous games were so created and the company was a major player in the genre. This attracted the larger publisher Ubisoft which would first license with them and later buy the house completely. The first game was released in 2002 and sold extremely well. 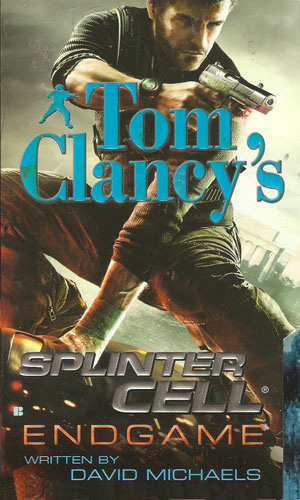 Though it was under the Tom Clancy brand, it was created by a different division at Ubisoft than Red Storm, this one in Montreal. For the next decade, additional games about Sam Fisher in the Splinter Cell line would be forthcoming from Montreal as well as another division in Shanghai. The games were available on a wide assortment of platforms from the PC and Mac to consoles like PS2, PS3, Xbox, and Wii, among others. 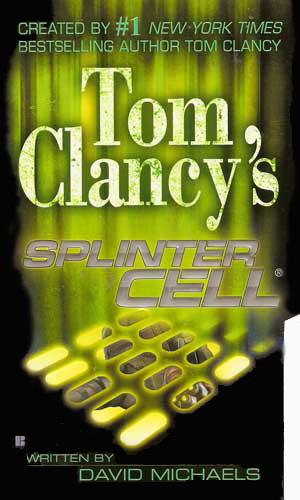 Though the title indicates the idea came from Tom Clancy, the real original is not known by me. 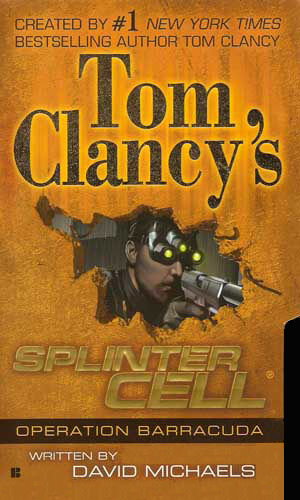 Mr. Clancy did not write any of the books and his connection with the game industry has waned over the years. The books are published using the house pseudonym of David Michaels but the actual authors were Raymond Benson, Grant Blackwood, and Peter Telep. Considering how extremely talented each of these authors are, it is no wonder the books are as good as they are. The death of an agent in Belgium raises the possibility that the Third Echelon's security has been breached. 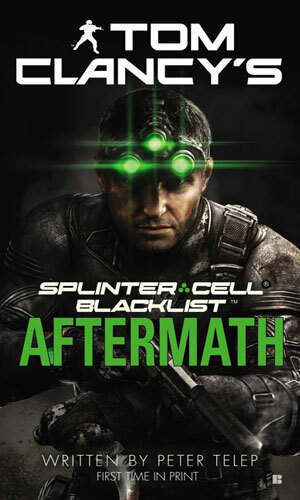 Besides finding the killers and getting revenge, Sam Fisher must also find and plug any leak. 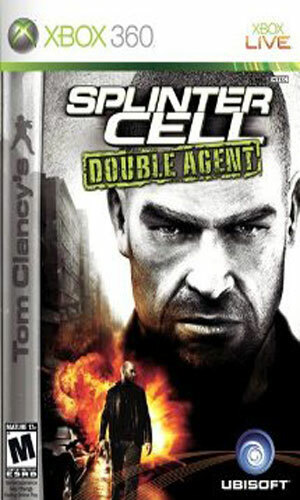 Sam Fisher is sent to find why a Russian Intelligence agency is dealing with a Chinese Triad. He learns that the Chinese is in possession of highly secret U.S. drone technology. Even as Sam Fisher is stopping a ship carrying deadly radioactive material to the U.S. in an attack, a town in New Mexico is already suffering from just such an attack. An Islamic leader who wants to ensure his place in history is planning to achieve that through the destruction of oil. 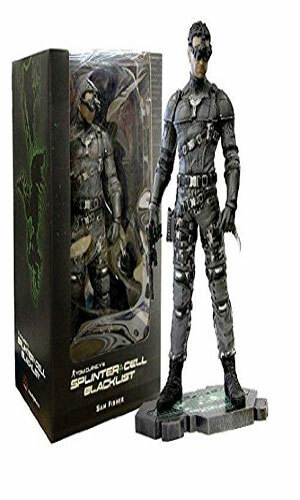 Sam Fisher is called upon to find out why many of the Splinter Cell agents are dying. A mole is certainly the reason but the problem is finding him. Note: This is the second tie-in to the video game Conviction. One of the biggest anti-virus software companies is owned by a Russian billionaire who is pressured by the Kremlin to unleash a virus in the U.S. He flees to keep from complying and stay alive. 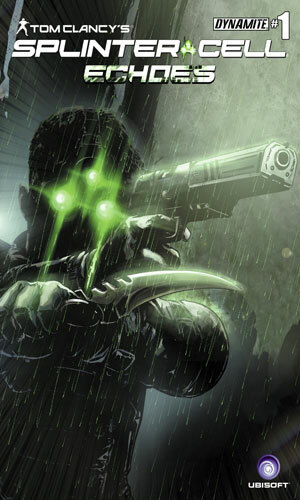 Sam Fisher and his team are ordered by the President to bring him in to safety. 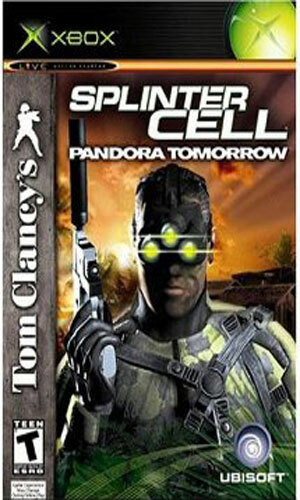 Available on the Tom Clancy Wiki. Reeling from the loss of his daughter, Sam Fisher quits - everything. Then a call from an acquaintance in Europe lets Fisher know there is information to be had about the tragedy and he must have. 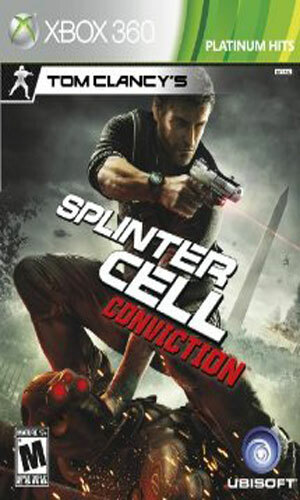 Note: this is a build-up for the game Splinter Cell: Conviction. 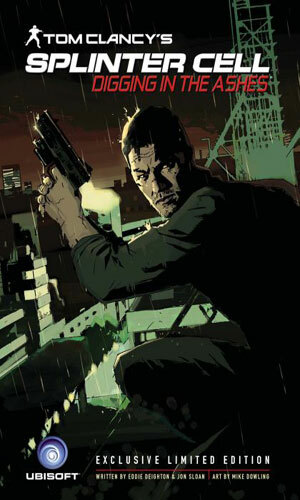 An adventure told in 4 issues: Sam Fisher is at home but getting very bored so when an old colleague shows up asking for help in an op in the republic of Georgia, he agrees. 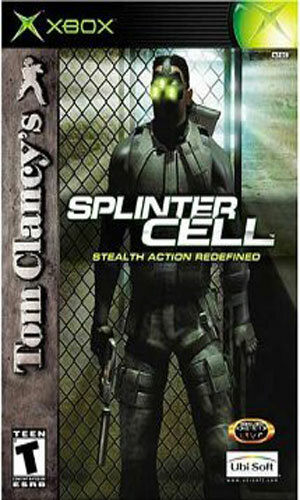 For the X-box, PC, GameCube, and PS2, abridged version for the GBA - It is Sam Fisher's first mission as a Splinter Cell and he heads the country of Georgia in search of two missing CIA agents. For the X-box, PC, GameCube, and PS2, other versions for the NDS, N-Gage, and Mobile - In the jungle mountains of Peru, Sam Fisher must track down and rescue a computer programmer kidnapped by leftist guerrillas. 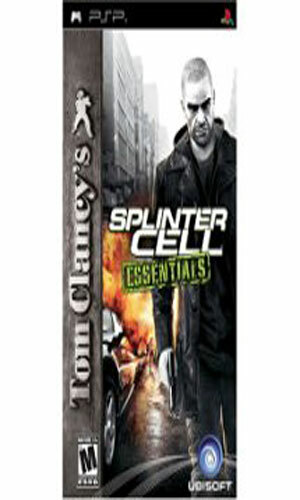 For the PSP - Sam Fisher is arrested in a graveyard standing over his daughter's grave. During questioning, he recalls several previous missions. For the X-box, X-box360, PC, GameCube, Wii, PS2, and PS3 - Something is not right at a geo-thermal plant in Iceland and Sam Fisher and a rookie are sent to investigate. For the X-box 360 and PC - Sam Fisher is very interested in talking with the people he knows have information about his daughter's murder and he will go anywhere and do anything to do so. For the X-box 360, PS3, WiiU and PC - In retirement, Sam Fisher is not happy about being brought back into the action to look into the people holding a blacklist, a plan of strikes at various American bases around the world. I was very surprised and pleased when I read the first of this series to find how well written the book was, until I looked again and saw the "special thanks" to Raymond Benson, a writer of excellent James Bond novels. With a good action storyline and an excellent, thrilling writer, the chance of a good series is darn good. This comes through. This is doubly impressive because the series came about because of a computer game. 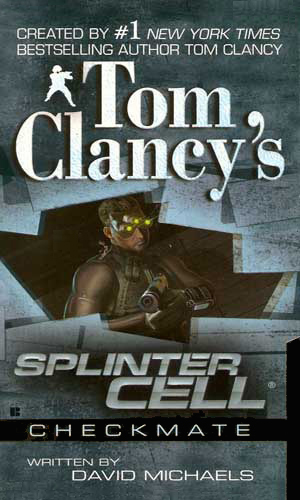 The opportunity to make a slap-together story to just capitalize on the name of the game and Tom Clancy might have been hard to resist but resist they did and the stories are exciting, the plots well thought out, and the character quite decently fleshed together.